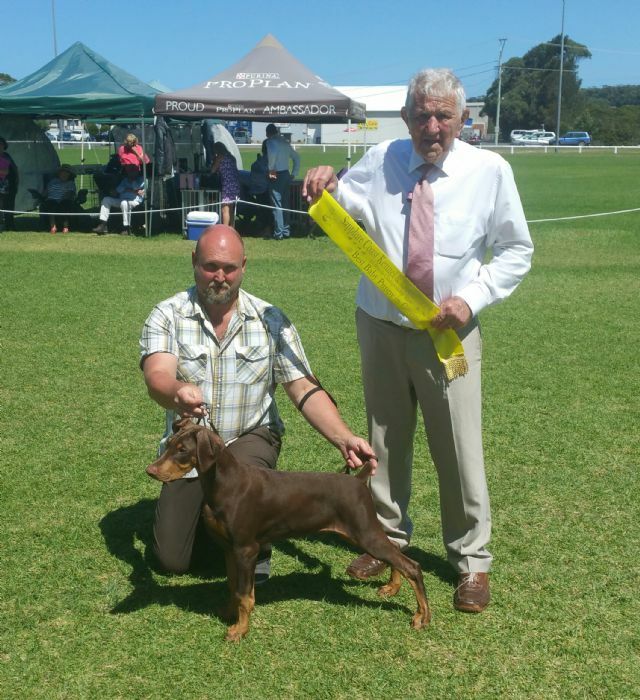 Wally is a stunning example of the breed. 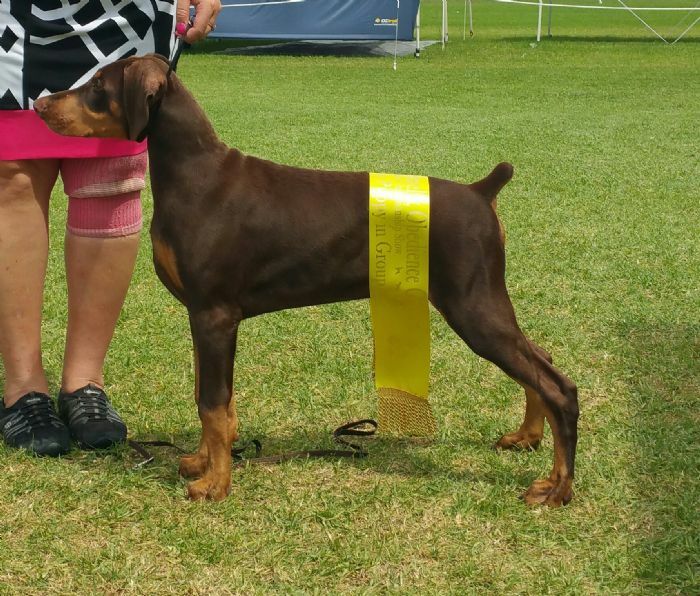 Thank you to Barbara & Marilyn of Walamara kennels for in trusting Wally into the Ultimatedobe Family. 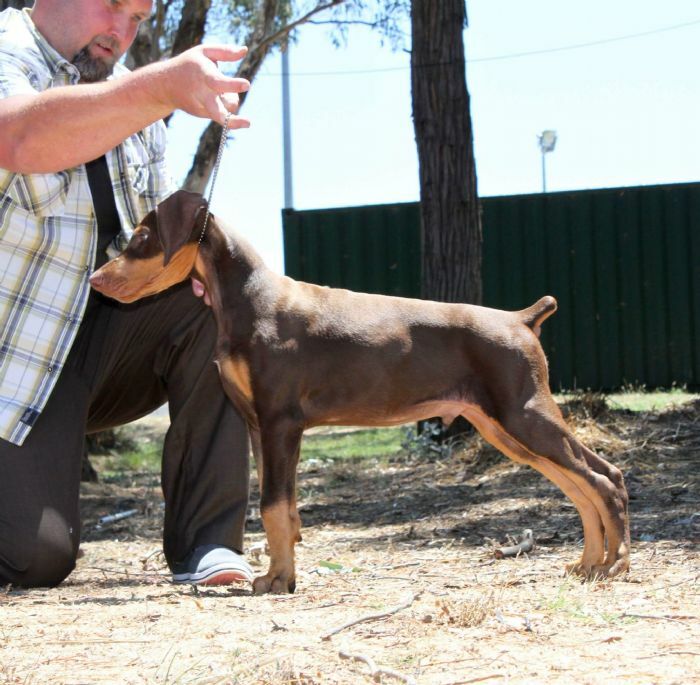 Wally's is off to a great start to his show career with multiple baby puppy in group wins. Wally is cared for and loved by his "other parents", Paul and Justine Townsley. He shares his home with "Koda" and "Frankie".